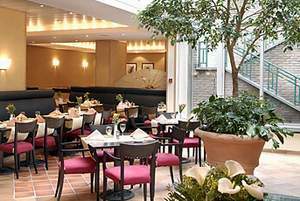 Four Points by Sheraton Hotel, Rue Paul Spaak 15, 1000 Brussels, Belgium. Four Points By Sheraton is conveniently located uptown, next to one of Brussels' most prestigious and diverse shopping districts. 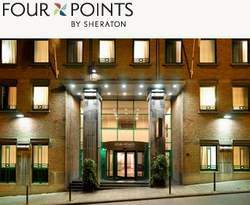 Just off Avenue Louise, an eclectic shopping and dining area on the edge of the old city, the Four Points by Sheraton Brussels keeps you in the centre of it all. 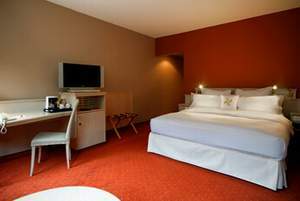 The Four Points Sheraton Hotel offers 128 guestrooms that are well decorated and equipped with several modern amenities. Attentive room service is also available for your convenience. 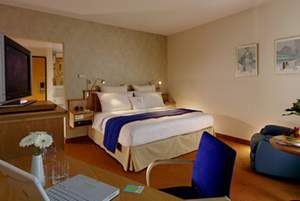 Choose from Four Points by Sheraton Four Comfort Beds in king, queen or twin sizes in Four Points by Sheraton Hotel Classic Rooms. 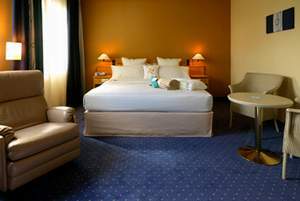 Rooms with king beds also include a reclining easy chair. 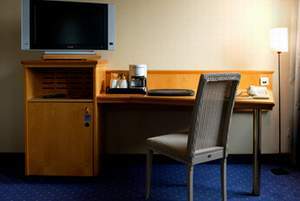 All rooms offer a separate desk space and High Speed Internet Access. Decorated in a modern style, all feature natural blonde wood furniture and subtle carpeting and fabrics, plus are equipped with new in-room entertainment and amenities from bottled water to mini-bars and ironing boards. 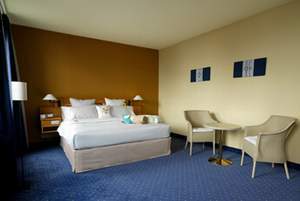 Comfort is king in Four Points by Sheraton Hotel Extra Comfy Rooms. 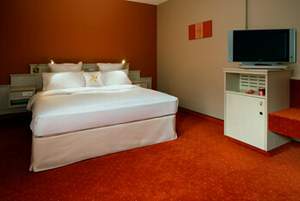 All oversized rooms offer a choice of king, queen, or twin size Four Points by Sheraton Four Comfort Beds. Each also has Internet access, a Cuddle Robe, Slippers, and a bottle of water. 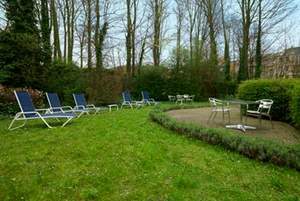 Enjoy the view of beautiful Brussels or Four Points by Sheraton Hotel peaceful garden. 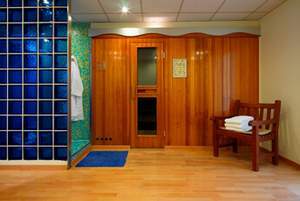 All Extra Comfy Rooms are renovated and decorated in a modern style, with natural blonde wood furniture and subtle carpeting and fabrics. Four Points by Sheraton Hotel offer three types of rooms that can be connected to form a suite for larger groups or families as well as one room designed for guests with special physical needs. 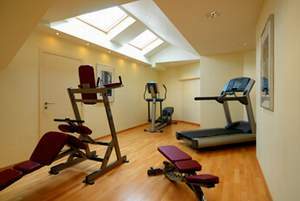 Some rooms are even equipped with a kitchenette (microwave oven, sink & fridge). Perfect for extended stay guests or families! Four Points by Sheraton Hotel realize that your free time is valuable. Relax with your favorite beer in the bar. As part of the Best Brews(SM) program, a selection of local, regional, and imported beers, such as Kwak, Leffe, and Heineken, are available on tap every evening in the Lobby Lounge. The “Wines of the World” program offers a nice selection of 17 wines from eight different countries, all available by the glass. The wines are of the highest quality and are from some of the most well-known and respected wine producers in the world. If you’d rather stay in, room service is available for dinner from 6 – 10:30pm, with a limited menu on Friday and Saturday. 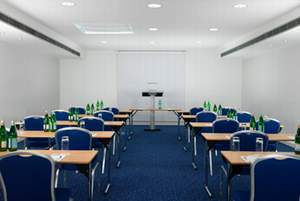 Four Points by Sheraton Hotel like to keep it simple and worry-free. Children are VIP guests here. Let us spoil them while you enjoy your own meal. Now that’s a treat. The kitchen will also fulfill requests for vegetarian, Muslim and kosher menus. If you can’t stay, Four Points by Sheraton Hotel offer takeout during breakfast and lunch. Whatever your special occasion may be – family celebrations, special events, meetings, or conferences – Four Points by Sheraton Hotel promise an event to remember. Four Points by Sheraton Hotel chef offers an abundance of menu options, while still personalizing the menu to your individual needs. 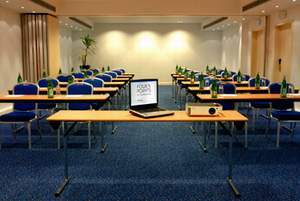 With 800 square feet of meeting space, Four Points by Sheraton Hotel banquet space is ideally suited for small to medium-sized meetings and special occasions of up to 250 guests. 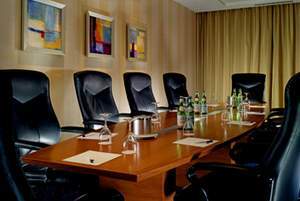 Four Points by Sheraton Hotel Executive Boardrooms (with natural lighting), seminar, and conference rooms are equipped with state-of-the-art audiovisual equipment. Meeting planners will appreciate the menu options, guaranteeing their delegates an excellent meal with first-class service. Four Points by Sheraton Hotel staff will help make your stay comfortable and uncomplicated. Four Points by Sheraton Hotel hope that when it’s time to leave, you leave with a smile. Four Points by Sheraton Hotel offer, at a small fee, car parking once you are here. 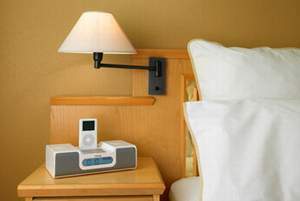 Plus, find stuff that you actually want like in-room bottled water, as well as wired and wireless High Speed Internet Access in guest rooms and public areas. 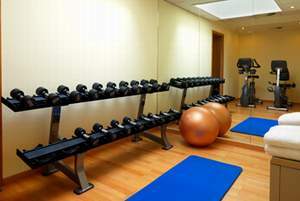 Work up a sweat in Four Points by Sheraton Hotel fitness center with state-of-the-art Life Fitness equipment with individual LCD TVs. Or simply relax in Four Points by Sheraton Hotel garden. Not a Starwood Preferred Guest? Join the award-winning program that unites over 750 of the world's best hotels and features no blackout dates and the fastest way to a free night or a free flight.